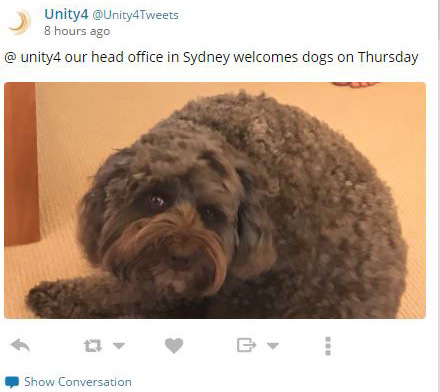 The latest trend for increasing morale in the contact centre is to bring dogs into work. Here is a list of companies that allow dogs into their contact centres. Domestic & General allow assistance dogs in their contact centre and are hoping to include other well-behaved dogs soon too. Being a contact centre advisor can be a difficult job, especially in scenarios like dealing with angry customers. However, in these situations, pets can provide the perfect antidote. So, if dogs can help advisors to unhook after a RUFF call, agents can learn to start afresh and forge a new emotional connection with the customer, instead of carrying “bad feeling” into the next interaction. Creating a vibrant working atmosphere is becoming crucial to reducing attrition rates and generally improving people’s happiness at work. So it is important to spark communication between co-workers, and having a dog around can provide the perfect conversation starter and a common interest. In fact, Randolph Barker, professor of management at the Virginia Commonwealth University and co-writer of the paper “Preliminary investigation of employees’ dog presence on stress and organizational perceptions”, has strong evidence to support this idea. By relieving stress and improving the working environment, it is easy to see why many believe that dogs in the workplace have a great impact on employee morale. Mike Parks, Group Operations Manager at LeadStream Leads, says that “increased performance in contact centre environments is typically down to increased motivation at that given moment, hence why incentives work so well in this environment. 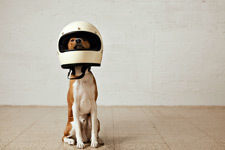 “Something as simple as a dog coming in also increases motivation, which again in turn increases performance. 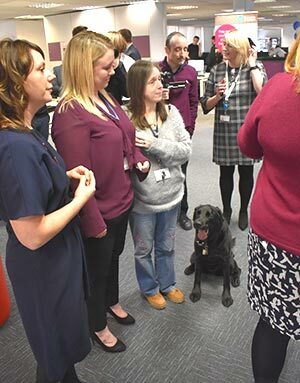 It is no secret that the advisor role can be quite repetitive, so bringing a dog into the contact centre can rejuvenate minds and perhaps encourage advisors to be more alert on the phone. 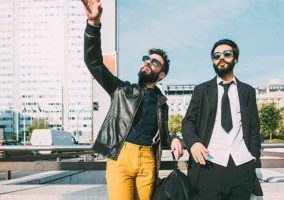 Whilst this may seem far-fetched, this revitalised state of mind may motivate advisors away from repeating the robotic phrases in a script and encourage them to find their creative solutions. More and more offices are bringing in dogs! According to one article in The New York Times, simply petting a dog can reduce blood pressure. However, there are more tangible health benefits to bringing a dog into work. As mentioned earlier, dogs have been proven to reduce anxiety levels, but they can also encourage advisors to exercise, by going for lunchtime walks, and they provide an incentive to stand up and look away from the screen. So, by improving staff well-being, it is likely that you will also reduce absenteeism, which can bring benefits in scheduling and finance, as well as allowing managers to be better assured of staff well-being. Unfortunately, not everyone is a pet-lover and many won’t buy in to the idea that having dogs in the workplace is just as “professional” as not having them there at all. Furthermore, you need to be wary of any possible allergies that members of staff may have, as, in certain cases, this can lead to legal situations where the contact centre may be sued. So, make sure your team are happy to have dogs in the contact centre and ensure that each advisor has the opportunity to tell you of any pet-related allergies that they may have. 2. Should You Ask Dog-Owners to Sign a Contract? Whilst many dogs will be peaceful, calm and friendly in an alien atmosphere, there will be those that are not. So, it might be a good idea to get your contact centre covered, in case a dog acts out and damages any property. Therefore, it might be a good idea to write up a quick contract that ensures that the pet-owner will cover any damage done. 3. Is There a Need to Create Pet-Free-Zones? 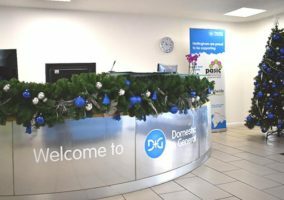 Whilst there are benefits to having dogs on the contact centre floor, you may want to consider establishing dog-free zones in places where it may be inappropriate for a dog to be. For example, spaces where people eat, where meetings are held and where quality monitoring sessions take place all have their reasons for being dog-free zones. 4. Will Owners Clean Up After Their Pets? Asking advisors to bring in plastic bags that can be well sealed and easily disposed of, in case their dog has an accident inside the contact centre, is necessary to keep a clean floor space, which the team will recognise and appreciate. Also, if your contact centre is accustomed to hosting outside visitors, and management call for advisors to look the part, it might be useful to keep a hair-removal brush around. There are many items commonly found in contact centres and most other workplaces that could have serious consequences if consumed by a small dog or a puppy. These items include cords, wires, papers and stationery. So, be on the lookout for scattered office supplies, and ask advisors to be careful to keep any such items out of the dog’s reach. It would also be wise to secure any loose wires or cables. 6. Will the Dog Be a Distraction? 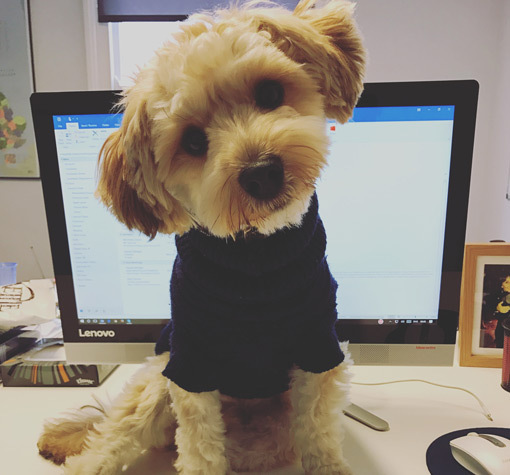 Whilst the evidence suggests that dogs do boost productivity in the workplace, it is likely that one or two advisors may actually be distracted by the animals around them. Therefore, it might be worth having a look at advisors’ quality or KPI scores after the introduction of pets in the contact centre and look out for signs of a dip in the performance of certain individuals. Then, just ask these advisors if they would prefer to work in a pet-free zone, or remind them of their main priorities. Whilst advisors will most likely be enthusiastic to bring their pets into the contact centre, it will also be important to them to make sure their dog is well looked after. So it may be necessary to buy and stock the contact centre with chew toys, dog snacks, water bowls, etc., unless it has been established with the advisor that they would do all of this themselves. Because of the large list of things to consider before bringing a dog into the contact centre, it might be worth creating some ground rules so that both management and advisors are all on the same page. Mark Conway, in his office, and Mike Parks, in his contact centre, have both established such ground rules for dogs in their workplace. So, we have combined all of their ideas to create a simple set of ground rules, which is presented below. 1. Dogs cannot be too vocal as, for obvious reasons in an environment where people are on the telephone, this could interfere with calls. 2. Dogs need to be well behaved and not disruptive in the contact centre. 3. Dogs should be kept under control and not able to wander into pet-free zones. 4. Dogs need to be “people” friendly so that they add to the office culture and environment, not take away from it. So, they must be accepting of lots of people wanting to stroke and pet them. 5. 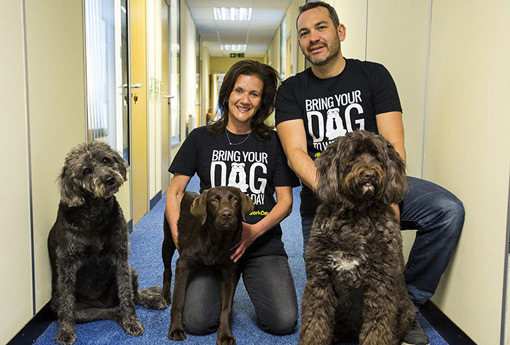 Dogs need to become part of the team, included by all as part of the working family. “Desmond (the dog) has been coming to work with me for the past 11 months, since he was five months old. I think it would have been a struggle to bring him in when he was any younger as he wasn’t trained and would have made too much mess and potentially been quite noisy. “Now, a year on, he has added so much value to the culture and environment and he really is a member within our team. It has also given off the right impression to our clients as to what we are about as a business and offers an insight into our culture as a company. “We have a pug that comes in and the motivation of the team increases massively. It sounds silly, but the dog walks around and the team enjoy something different. “We have seen substantial increases in the performance when the dog is with the team, and she leads to a more relaxed environment. 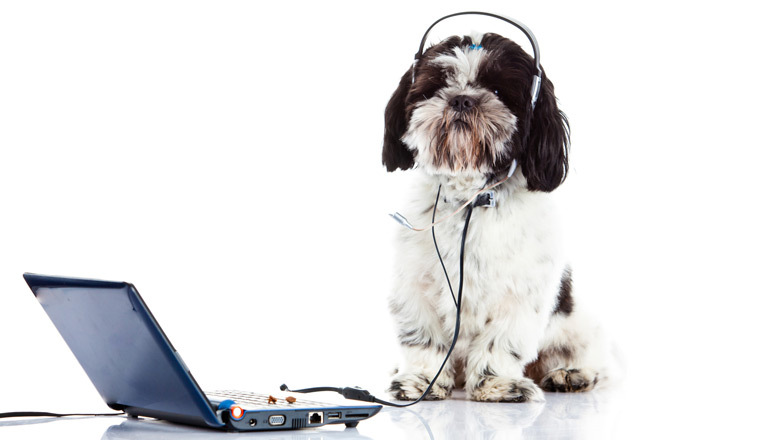 Do you have dogs in your contact centre? And if so, what have your experiences been like? As someone who is seriously allergic to all animals, the thought of having pets in the workplace fill me with dread. Hi Steve. Desmond is hypo allergenic.